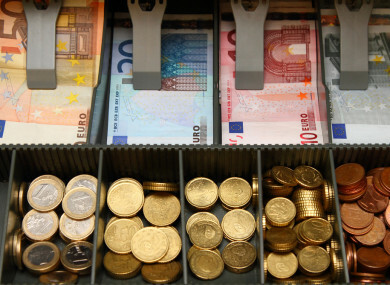 THE IRISH ECONOMY is growing but Britain leaving the European Union poses a “major threat”, the Central Bank has said. In its first Macro-Financial Review of 2018, the organisation notes that the domestic economy is “growing substantially”, but that this in itself gives rise to potential risks. The assessment takes into account progress made to date in reducing private and public debt and non-performing loans (NPLs) in the banking sector. The Irish economy is projected to grow, in gross domestic product (GDP) terms, by 4.8% this year and 4.2% in 2019. “Business sentiment has been improving over recent quarters and increased building and construction is contributing to investment growth,” the report notes. It adds that, while Brexit is “a key risk to the Irish economy, there is also a concern that as the economy approaches full employment, upward pressure on wages and skills shortages, as well as infrastructure deficiencies, could threaten competitiveness”. Changes in international corporate taxation rates “could affect foreign direct investment and economic performance more generally”, it adds. Sharon Donnery, Deputy Governor of Central Banking, said: “The risks arising from Brexit, especially a ‘hard’ or disruptive Brexit, are far-reaching for Ireland. The window of opportunity for resolving a range of issues for firms is closing fast and contingency plans need to be fully prepared. The report states that the household sector “continues to benefit from improving labour market conditions and the low-interest rate environment”. Irish households, however, remain highly indebted and vulnerable to adverse employment, income or interest rate shocks. Total mortgage lending has stabilised after a long period of contraction, while consumer credit is expanding. “A large number of households remain in late-stage arrears. Both residential property prices and rents are growing strongly, with a shortage of residential units contributing. While there are signs of increasing construction activity, the supply of new units remains below housing demand,” the report notes. It adds that the number of mortgage accounts in arrears continues to fall. In December 2017, there were 70,488 principal-dwelling home (PDH) accounts and 22,461 buy-to-let (BTL) accounts in arrears, down from 2013 peaks of 142,892 and 40,396 respectively. The percentage of loan accounts in arrears for over 90 days remains higher among BTLs (14.9%) than PDH accounts (6.6%). Arrears rates also vary by region, with PDH rates ranging from just under 5% to close to 10%, with the lowest rate arising in Dublin. Donnery said that, while the domestic economy is performing well, this in itself “gives rise to potential risks”. “Stronger growth could add to overheating pressures if not managed prudently. The array of risks facing Ireland, coupled with the fact that we are a small and open economy naturally prone to volatility, make it hard to predict what the future holds. “What we can do is to ensure that the banks and financial system are sufficiently resilient to withstand unexpected shocks. “As such, it is right that we now give active consideration to using all of the tools available to us to help maintain sustainable and balanced growth,” she stated. Email “Irish economy is growing substantially but Brexit 'poses major threat'”. Feedback on “Irish economy is growing substantially but Brexit 'poses major threat'”.